Comprehensive Coverage or Hospital Plan – Which Should You Choose? Consider both your own and your family’s medical history when you decide on a coverage plan. All medical aid schemes offer a choice of benefits and benefit options which affect the cost of monthly premiums. It follows by implication that full comprehensive coverage of all your medical expenses will be the most expensive. If you simply can’t afford such a premium, some measure of coverage is better than no coverage at all, and hospital plans are becoming an increasingly popular choice because of it. There are also different types of hospital plans available, so be sure to compare them. Remember, however, that while hospital plans do cost less than comprehensive coverage, they don’t cover day-to-day, out-of-hospital expenses at all. Consider both your own and your family’s medical history when weighing up the cost benefits of a hospital plan. Bear in mind the onset of an unexpected and serious chronic condition could bankrupt you. An obvious question to ask would be why medical aid membership is so expensive to begin with. In a word: risk. In order to provide their healthcare services, medical aid schemes need to have sufficient numbers of younger, healthy members paying monthly premiums without needing to submit large claims. If people only became members of medical aids when they were sick, the schemes would go out of business in no time. Many medical aid schemes have been adversely affected by the departure of such younger and healthier members from full medical coverage options to more affordable hospital plans. This departure has meant that the cross-subsidisation of older, sicker members by younger, healthier members has been reduced and is continually being reduced. This has inevitably contributed to an increase in membership fees. Government regulations regarding the minimum reserves of medical schemes, the list of Prescribed Minimum Benefits, and the fact medical aid schemes may no longer turn down new applicants have all made substantial contributions to premium increases. The cost of imports of medical equipment is also affected by currency fluctuations. While these regulations are aimed at protecting the members of medical aid schemes, they have also contributed to high medical inflation. If you have no other choice but to choose a hospital plan, remember this doesn’t automatically mean your hospital expenses are covered completely. Hospital plans have specific regulations regarding organ transplants, cancer treatment, ambulance and emergency services, dental surgery, medical appliances, HIV/Aids treatment and the provision of prosthetic limbs, among others. Check the regulations regarding overall limits and treatments that aren’t covered. It’s essential you know everything you need to know and that you understand the implications of your choice; you don’t want to find yourself running out of benefits halfway through cancer treatment. Some medical aid schemes offer lower hospital plan premiums because they have lower limits that would provide insufficient cover if a member and three dependents were all to be involved in the same motor car accident. In the end, many people on hospital plans find when they add up what they spend on day-to-day medical expenses, the hospital plan is not that much of a saving. Choose carefully! 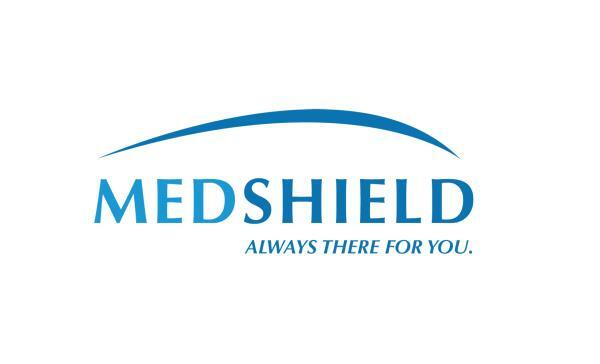 See www.medshield.co.za/ for more details.